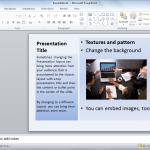 Sometimes it is convenient to adapt or change the template color scheme for PowerPoint presentation. In order to change the color scheme for your PowerPoint template we can follow the instructions below. 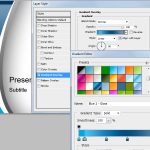 In the Slide Master menu you can change the global color scheme to be used among your presentation. Find the Colors menu and then click to display the popup menu. 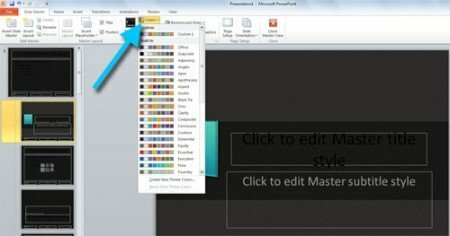 Here you can see a list of pre-made color schemes but you can also create your own color scheme for PowerPoint. 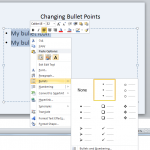 This is desired if you already have a color scheme configuration to be used and you need to change the color settings in Microsoft PowerPoint. 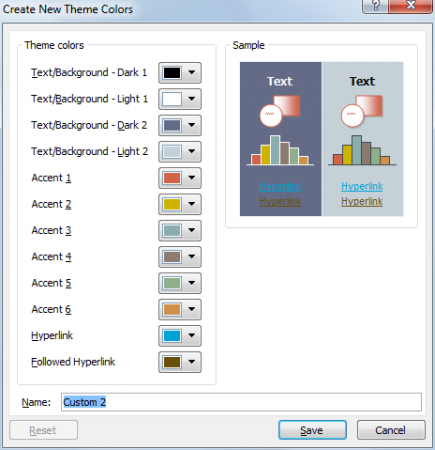 Click on Create New Themes Colors and then configure the new colors in the dialog box that will be displayed. Once you finish the new color theme, you can assign a name and Save. 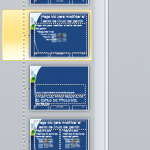 How to change PowerPoint background?